Vacation Barefoot Travel Blog: Get a free ride, on a bus! 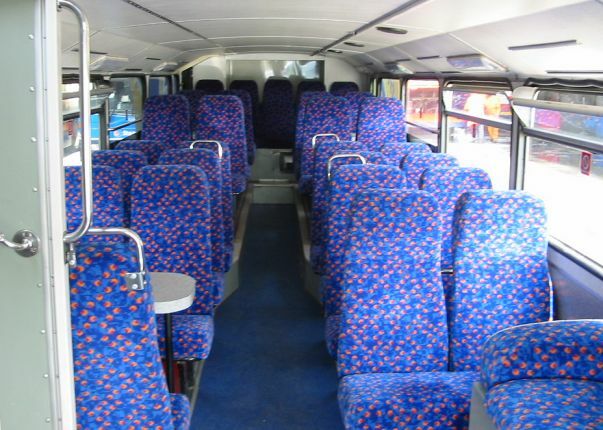 Get a free ride, on a bus! As of today, the city-to-city express bus service Megabus.com is offering 200,000 free seats for travel January 4th to March 1st, 2012. The free trips can be booked to or from more than 70 U.S. cities and even Toronto. To get in on the free'ness travelers must use the promo code: GOFREE on their website. Since the offer is limited and subject to availability, you're more likely to snag a freebie if you're flexible and can travel midweek, particularly on such popular routes as Washington, D.C.- New York City. I did a sample test and said I wanted to travel from New York to Boston on February 21st, 2012 returning the next day. The price I got? FREE! It works! 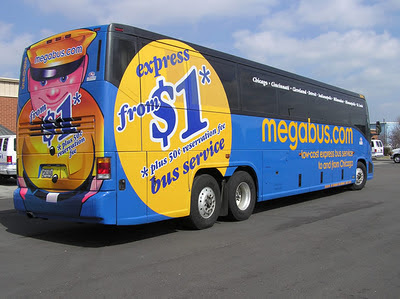 Megabus.com, which launched in 2006, is among a growing number of intercity bus services offering cheap (as low as $1 each way) fares with such frills as free Wi-Fi and power outlets. LonelyPlanet is even saying that the Northeaster US is easier to travel due to companies like Megabus, because they make it possible to "hop-scotch across the region without booking a flight or hiring a car." So again, go to www.megabus.com and use the pormo code: GOFREE.